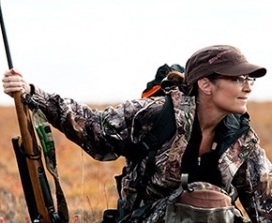 This entry was posted on Saturday, September 24th, 2011 at 12:25 and is filed under Culture, Media, Politics, Sarah Palin. In Stephen Bannon's interview with GenY, he talks about unless our country changes, this will be the first time in 14 generations that our children wil not have what each of the previous generations have had. He also discusses why he has the passion and why he created the documentary "The Undefeated" about Sarah Palin. 'Trading their labour in exchange for the interests of others.' You gotta be kidding me. You have read Adam Smith, right? I've never heard such faceless self-promotion in my life. Aren't you a little embarassed? Actually, I am a little. You just pointed out one of the problems with all of this. The version that posted was the rough draft. It's been fixed by dropping in the text I actually intended. Thank you for pointing that out! What scares me is that young people today are not being taught about our country. A few years ago I visited a school that only had grades 3 and 4. It was February 22, Washington's birthday. I asked a group of boys if they knew about George Washington or Abraham Lincoln. All I got were blank looks. Then one boy piped up, "But we know about Martin Luther King! We had a unit on him." For those of you who may not know, the term "unit" has a very particular meaning in elementary education. There is only time in a school year for four or five units. In a unit, all subject matter — history, geography, language arts (we don't have English any more), math — is focused on the unit's subject. There is something very wrong when 3rd and 4th graders have never heard of the Father of our Country or The Great Emancipator. We will not be able to fix the problems of America until We The People remember what it means to be an American. We are currently raising a lost generation. We really do need to change not just the uniforms but the whole team and the game plan. 2013 can't come soon enough. Mark, with your large following I hope that you will get them organized to go to the various sites that are knocking Sarah and vote or do what they need to do to balance the negatives. This is post I just saw on Sarah's FB page. HELP ! HERE is something very positive we can ALL do while waiting: There are tons of 'blogs' and 'commentaries' on the web attracting the worst types of trolls and nay-sayers. U don't have 2 write a comment if U don't want 2 but U should go : VOTE – if it calls for a vote, do HANDS down or UP (whatever HELPS Sarah) we need 2 show up N large numbers. SOME PEOPLE R like schools of fish…they go where they are led. IF all these people see is NEGATIVES about SARAH, they'll be 'convinced' that the gossip//trash is true. THIS is our last shot at saving AMERICA. Obama is banking on the fact that we'll fold.